The HOYER Group has successfully positioned itself in the highly competitive mineral oil logistics market. At the beginning of the year, TOTAL Deutschland GmbH confirmed an early extension of the term of contract with HOYER for a further five years until 2024, and ordered additional services. The logistics specialist thereby continues its positive development. 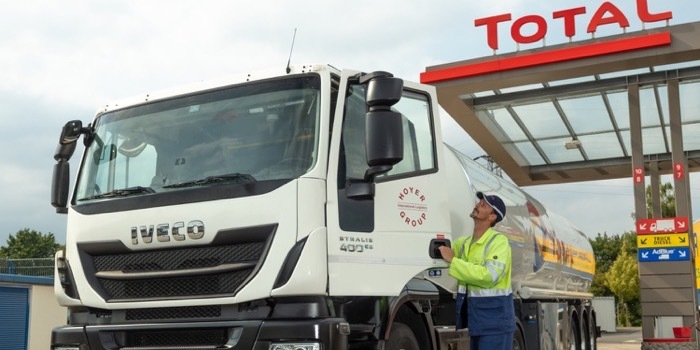 Together with the early extension of contract, TOTAL Deutschland also commissioned the logistics company to supply fuel to an additional 20 stations belonging to the operator. As well as the Duisburg, Gelsenkirchen, Lingen, Hartmannsdorf, Dresden and Bremen regions, HOYER Mineralöl-Logistik will also be in action for TOTAL in the Hanover and Bielefeld area with immediate effect. This increases the total number of service stations to be supplied to a total of 240. Since the beginning of the partnership in 2016, the collaboration has been continuously expanded. As in the past, the logistics specialist continues to undertake the entire execution of transport for TOTAL, including order scheduling and stock monitoring, loading and transport of mineral oil. With additional logistics services such as an efficient analysis and supply system, HOYER is in a position to respond immediately and reliably to supply bottlenecks.